servers once launched, is never updated throughout its lifetime. AWS assets are programmable, techniques, practices, and tools from software development can be applied to make the whole infrastructure reusable, maintainable, extensible, and testable. AWS provides various automation tools and services which help improve system’s stability, efficiency and time to market. creates CloudWatch alarm that monitors an EC2 instance and automatically recovers it if it becomes impaired. A recovered instance is identical to the original instance, including the instance ID, private & Elastic IP addresses, and all instance metadata. Instance is migrated through reboot, in memory contents are lost. allows continuous configuration through lifecycle events that automatically update the instances’ configuration to adapt to environment changes. allows Lambda function creation and direct AWS Lambda to execute it on a regular schedule. When a resource fails, functionality is recovered on a secondary resource using a process called failover. Failover will typically require some time before it completes, and during that period the resource remains unavailable. Secondary resource can either be launched automatically only when needed (to reduce cost), or it can be already running idle (to accelerate failover and minimize disruption). Standby redundancy is often used for stateful components such as relational databases. requests are distributed to multiple redundant compute resources, if one fails, the rest can simply absorb a larger share of the workload. Compared to standby redundancy, it can achieve better utilization and affect a smaller population when there is a failure. acknowledges a transaction after it has been durably stored in both the primary location and its replicas. used to scale read capacity for queries that require the most up-to-date data (strong consistency). used to horizontally scale the system’s read capacity for queries that can tolerate that replication lag. Utilize managed services where scaling is handled by AWS for e.g. ELB, CloudFront, Kinesis, SQS, CloudSearch etc. allows content to be served by infrastructure that is closer to viewers, lowering latency and giving high, sustained data transfer rates needed to deliver large popular objects to end users at scale. Amazon Cognito, for mobile applications, which allows client devices to get controlled access to AWS resources via temporary tokens. AWS Simple Monthly Calculator tool to effectively estimate the costs, which provides per service cost breakdown, as well as an aggregate monthly estimate. AWS Economic Center provides access to information, tools, and resources to compare the costs of AWS services with IT infrastructure alternatives. AWS Account Activity to view current charges and account activity, itemized by service and by usage type. Previous months’ billing statements are also available. AWS Usage Reports provides usage reports, specifying usage types, timeframe, service operations, and more can customize reports. ELB can be used to distribute traffic among EC2 instances. Number of hours the ELB runs and the amount of data it processes contribute to the monthly cost. Standard Storage is designed to provide 99.999999999% durability and 99.99% availability. Standard – Infrequent Access (SIA) is a storage option within S3 that you can use to reduce your costs by storing than Amazon S3’s standard storage. Standard – Infrequent Access for storing less frequently accessed data at slightly lower levels of redundancy, is designed to provide the same 99.999999999% durability as S3 with 99.9% availability in a given year. Number and size of objects stored in the S3 buckets as well as type of storage. Number and type of requests. GET requests incur charges at different rates than other requests, such as PUT and COPY requests. Amount of data transferred out of the S3 region. Amount of data transferred out of the application and outbound data transfer charges are tiered. Snapshots of data to S3 are created for durable recovery. If opted for EBS snapshots, the added cost is per GB-month of data stored. Depends on the physical capacity and Instance pricing varies with the database engine, size, and memory class. After the DB Instance is terminated, backup storage is billed per gigabyte per month. Amount of backup storage in addition to the provisioned storage amount is billed per gigabyte per month. Number of input and output requests to the database. Outbound data transfer costs are tiered. CloudFront is a web service for content delivery and an easy way to distribute content to end users with low latency, high data transfer speeds, and no required minimum commitments. Number and type of requests (HTTP or HTTPS) made and the geographic region in which the requests are made. I recently passed AWS Solution Architect – Associate (90%) & SysOps – Associate (81%) certification exams. 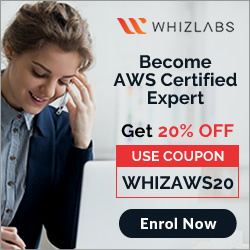 AWS Certification exams are pretty tough to crack as they cover a lot of topics from a wide range of services offered by them. I cleared both the Solution Architect and SysOps Associate certifications in a time frame of 2 months. AWS Associate certifications although can be cleared with complete theoretical knowledge, a bit of hands on really helps a lot. Also, AWS services are update literally everyday with new features being added, issues resolved and so on, which the exam questions surely don’t keep a track off. Not sure how often the exam questions are updated. So my suggestion is if you see a question which focuses on a scenario which added latest by AWS within a month, still don’t go with that answer and stick to the answer which was relevant before the update for e.g. encryption of Root volume usually made in the certification exam with options to use external tools and was enabled by AWS recently. Went through multiple sites to consolidate the Sample exam questions and worked on them to get the correct answers. I have tried to consolidate them further in this blog topic wise. 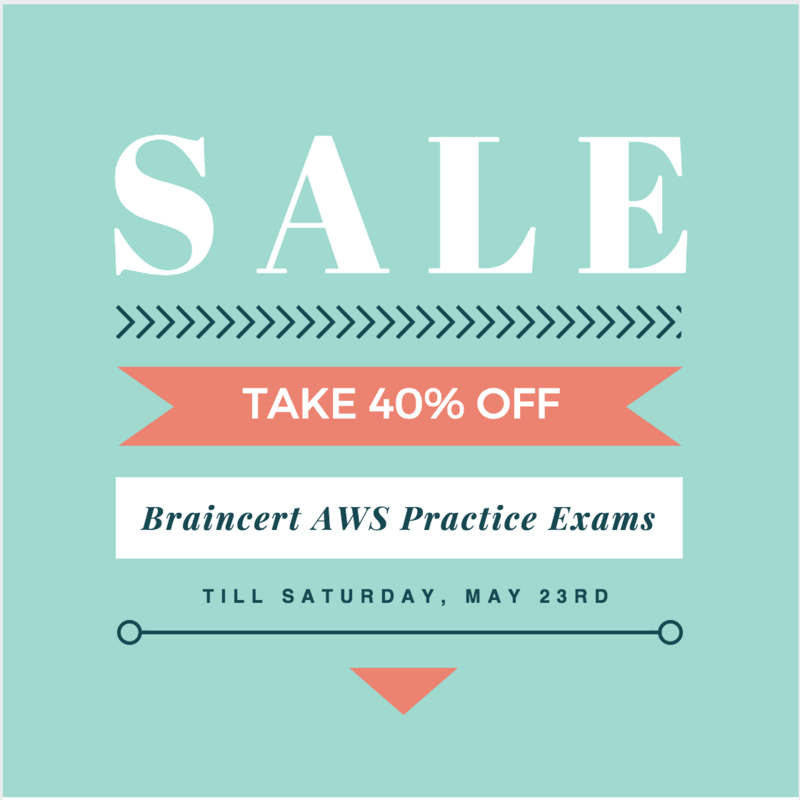 I did not purchase the AWS Practice exams, as the questions are available all around. But if you want to check the format, it might be useful. Also, if you are well prepared the time for the certification exam is more then enough and I could answer all the questions within an hour and was able to run a review on all them once. Important Exam Time Tip: Only mark the questions which you doubt as Mark for Review and then go through them only. I did the mistake marking quite a few as Mark for Review, even though I was confident on the answers, and wasting time on them again.